A great deal of thought went into selecting the style names for our 2014 bridal collection. We wanted each name to have meaning and an inspiring story to accompany it. Women are what inspire us most. 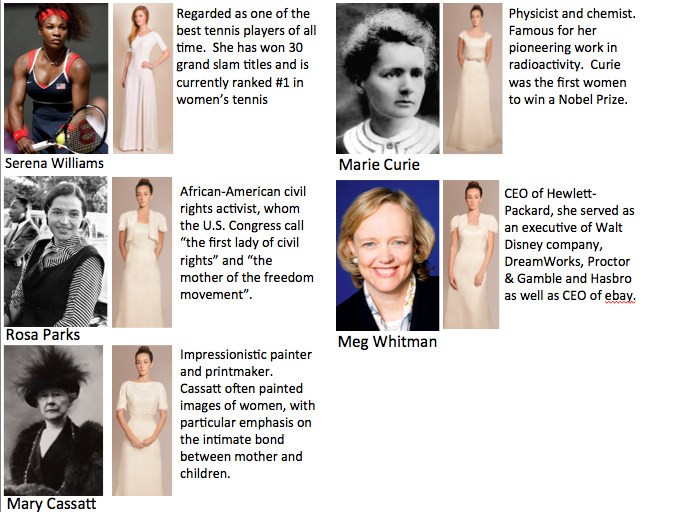 We compiled a list of women that have made significant contributions in fields of: science, art, medicine, business, athletics, literature, comedy and physics. Women who are leaders, women who display courage and who have overcame great odds. Our list includes the first woman to win the Nobel prize and the first American woman to go into space. 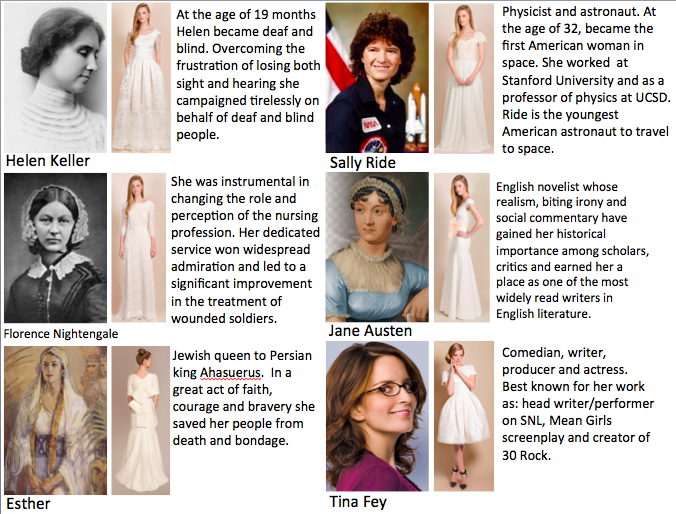 Above is a list of the women we chose to represent our gowns and very brief summary of some of their accomplishments. They each have a wonderful story that is worth learning more about.